During our recent trip to Ecuador, we had the chance to meet with producers of a variety Fair Trade products. It was incredible to hear their stories and learn about the impact that Fair Trade has had on their communities, families and livelihoods. 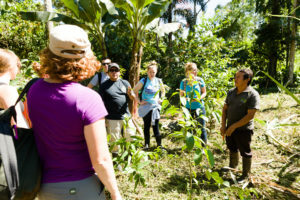 A month has passed since we were in Ecuador visiting Fair Trade farms and cooperatives but the experience had such a tremendous impact on me that it feels as though we were there just yesterday. Over the course of one week, we had the opportunity to meet with producers of three different Fair Trade products – cacao, flowers and guayusa. Each producer group had their own inspiring and interesting Fair Trade story to tell and no one visit was the same. 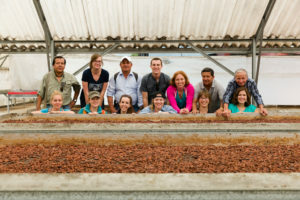 Fair Trade USA staff and advocates at Fortaleza Del Valle’s processing facility in Calceta, Ecuador. Credit: J. Pollack Photography. The first site that we visited on our trip was Fortaleza Del Valle, a cacao cooperative in Calceta, Ecuador. Fortaleza was founded in 2006 by the cooperative’s current General Manager, Berto Zambrano, and just 60 producers. 11 years later, the association has 1,000+ members producing 100 percent of their cacao according to Fair Trade and organic certification standards. All of the cacao is exported and Fortaleza currently exports around 600 tons of cacao beans per year (that’s a lot of chocolate!). In the U.S., you can find Fortaleza Del Valle cacao in TCHO and AlterEco chocolate bars. What was most incredible about our visit to Fortaleza Del Valle was the breadth of cooperative staff and producers that we were able to meet with. 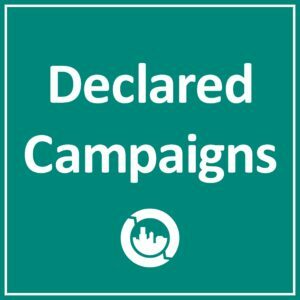 The cooperative is divided into four grassroots associations. First, we met the administrative staff at the cooperative headquarters, then with the Presidents of each association. We then went on to meet with three different farmers and hear how Fair Trade has had a positive impact on their lives and their families. 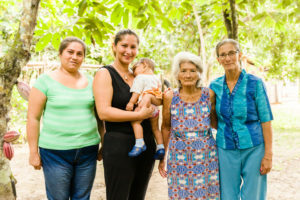 Mariana (far right) with her mother, daughter and grand-daughter on their cacao farm in Calceta, Ecuador. Credit: J. Pollack Photography. For me personally, the most rewarding visit was to Mariana’s farm. Mariana coordinates workshops for female cacao producers and shares land with her mother. All in all, four generations of women live on Mariana’s farm. It was inspiring to meet Mariana and her family and learn about some of the unique challenges that women face as cacao producers, an industry in which the majority of producers are men (in Fortaleza’s case, about 65 percent of their members). It was particularly interesting to hear how Fortaleza Del Valle allocates the Fair Trade premium. A general assembly comprised of delegates from the four associations meets five times per year to discuss producer’s needs. Some of the investments that Fortaleza Del Valle producers have made using the Fair Trade premium include: an annual credit paid out to farmers, life insurance for producers to help their families cover funeral costs, training on quality and production, compost sacks and natural disaster relief (most recently from a 7.8 magnitude earthquake in April 2016). Bunches of Agrocoex roses ready to be exported to Whole Foods. Credit: J. Pollack Photography. The next day, we headed South to the city of Latacunga, home to Agrocoex Flower Farm. Agrocoex started growing and exporting roses 25 years ago as a family business with just one greenhouse. Today, they have 50 greenhouses spread out across three farms and a third of their production has been Fair Trade Certified since 2007. Approximately 240 people work for Agrocoex and 70 percent are women. 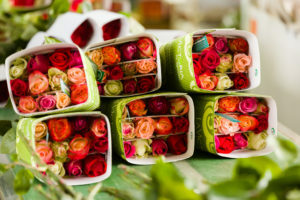 Agrocoex exports Fair Trade roses all over the world but primarily to the U.S., Russia and Europe. In the U.S., you can buy their roses at Whole Foods Market. Agrocoex was by far the most beautiful of our Fair Trade site visits. We kicked off our time at the farm with Agrocoex’s General Manager, Diego, who gave us a tour of the greenhouses and packing facility. I’ve never seen so many different colored roses in my life (Agrocoex produces over 80 different varieties!). What was especially incredible to learn was the volume of roses that Agrocoex produces with just 240 workers – a whopping 50,000 stems per day (that’s 200 million per year!). Next, we met with four members of the Fair Trade committee at Agrocoex. They told us how they each started working at Agrocoex and what their roles are on the Fair Trade committee. It was incredible to hear about all of the investments that they’ve made with their Fair Trade premium funds, from a dental clinic on site for workers and their families, to a laundry facility, a computer lab, and, most awe-inspiring, a massive housing project for workers and their families. Housing project started by Agrocoex workers in 2013 using Fair Trade premium (so far 24 out of 98 homes are completed). Credit: J. Pollack Photography. 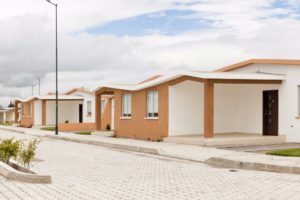 The housing project began in 2013 when Agrocoex workers purchased a large plot of land with Fair Trade premium funds and began working with contractors to lay out plans for the construction of 98 homes. The workers have already invested in $1.3 million since the project began and currently have 24 out of 98 homes completed. Workers must make a down payment to own one of the homes and Agrocoex helps provide loans. Applicants are considered based on a number of criteria, including how long they’ve worked at Agrocoex and their personal situation (number of children, single parent, etc.). Similar to Fortaleza Del Valle, all investments at Agrocoex are voted on by an assembly and implemented by the Fair Trade committee. The vision for the housing project came from the Fair Trade committee surveying workers to find out what would help improve their quality of life the most. The sense of pride and accomplishment that the workers had when talking about the project was unmistakable. For our third and final farm visit, we headed even further South to the city of Tena, on the edge of the Amazon Rainforest. This region in Ecuador is known for producing guayusa, a naturally caffeinated herbal infusion produced from the leaves of a native holly tree. Guayusa leaves on an agroforest farm in Tena, Ecuador. Credit: J. Pollack Photography. 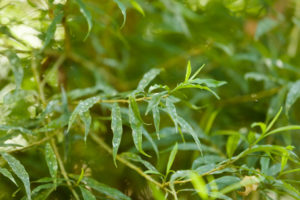 Runa Tea, a U.S. based company, has been buying guayusa leaves from their Ecuadorian counterpart, Runatarpuna, and marketing to consumers in the U.S. as both a loose leaf tea as well as a refrigerated tea since 2008. 100 percent of the guayusa leaves that Runa purchases and uses in their teas are Fair Trade Certified and organic. For thousands of years, guayusa has played a significant role in the lives of indigenous Kichwa families who use the leaves to brew tea for ceremonies and celebrations. Visiting an agroforest farm in Tena, Ecuador where they grow guayusa. Credit: J. Pollack Photography. yuca, sugarcane, and much more on the farm. I’ve been back from Ecuador for a month now and I’m still beaming from the experience. It was incredible to be able to meet producers and learn first-hand about the impact that Fair Trade has had on their lives, families and communities. Fair Trade is a complex system but it is clear to me after visiting Fair Trade farms and cooperatives in Ecuador that it can have an enormous impact, not just for the people directly producing under Fair Trade terms, but for their families, communities and the environment. This post is part two of a two-part series recounting our travels in Ecuador in July 2017. 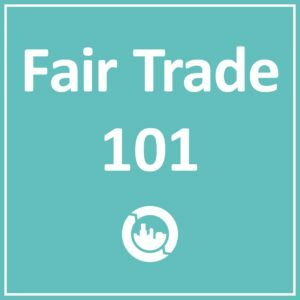 In case you missed part one about Fair Trade advocacy in Ecuador, check it out here. Kylie brings over 5 years of community organizing and non-profit experience to Fair Trade USA, previously working with Global Exchange and Sierra Club. At Global Exchange she took on a variety of roles including Community Rights Program Associate, Fair Trade Campaign Coordinator, Fair Trade Store Sales Associate and Interim Director of Operations. For the past two years she worked in the Executive Office at Sierra Club providing support to C-level staff and the Board of Directors. Kylie is knowledgeable and passionate about Fair Trade, climate and energy issues, human rights and social and economic justice. Kylie graduated from UC Santa Cruz with a BA in Community Studies and Politics. She also lived in Thailand for 5 years and is conversational in Thai and learning Spanish. In her free time, Kylie enjoys being outdoors, hiking and traveling.